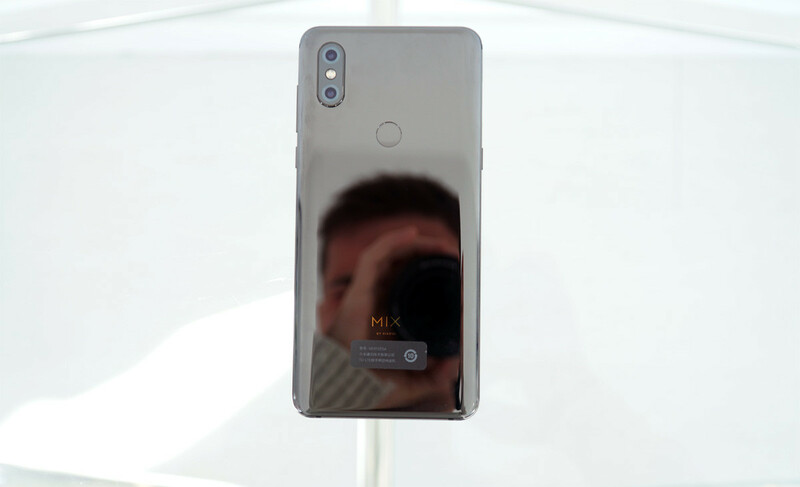 Xiaomi used the 10GB of RAM and the front-mounted drop-down cameras as the main argument of its new high-end, the Xiaomi Mi MIX 3, which still has no official dates or prices outside of China. 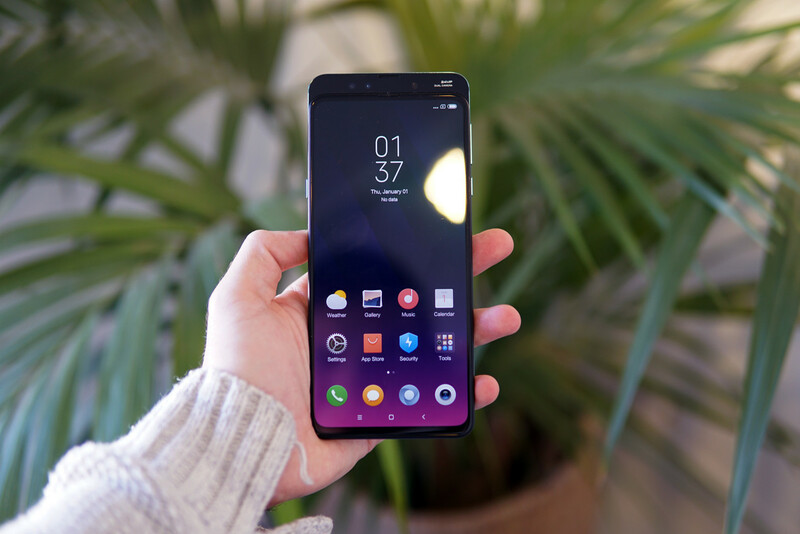 However, we have already had a first contact with the successor of the Xiaomi Mi MIX 2s, which in addition to the points on which the company emphasized, includes more interesting developments. As usual in the MIX family, the material that is bet on the back panel is ceramic. It shows in the finishes and in the hand feeling, softer than the glass, not so slippery, but probably the same as the fingerprint magnet. The arrangement of the buttons has seemed quite comfortable. On one side we find the volume up and down button and below the on and off button, and on the other the button dedicated to the assistant Xiao AI (for now only available in Mandarin, as I will comment in the corresponding section) and the slot for the SIM . Does not include slot for microSD, so you’ll have to settle for 128 or 256 GB of internal storage that will be offered in different versions. Beautiful, elegant, soft … and heavy, but not bulky. On the back is the double camera in the upper left corner and the fingerprint sensor centered on the top. I found it a quite natural position and, once configured, the fingerprint detection is very, very fast. It has surprised me. Finally, at the bottom we have the USB Type C connector and the speakers. Like its predecessor, it has no minijack port, so you’ll need an adapter to listen to music with conventional headphones. Do you notice those 218 grams of weight? Yes. Probably the heaviest high-end of this year (above 201 grams of the Note 9 or the 208 of the iPhone XS Max), although in my hand I did not find anything fancy, something that may help the materials and, surely, a balanced internal distribution of the components. Finally, the decision not to opt for notch but achieve a 93.4% screen ratio is an aesthetic success (although the upper and lower edges are asymmetrical) and is possible thanks to the inclusion of two sliding front cameras, a system that, as we see below, is quite familiar to those who lived through the years of mobile keyboards. And the deployable cameras, what? The surprise effect was brought by the OPPO Find X, but Xiaomi has also chosen the path of the deployable camera to evade the controversial notch. What differentiates both systems is that OPPO is automatic (so you have to wait for it to unfold), while Xiaomi’s is more old-fashioned, that is, like the mythical slide-out keyboards of the old Nokia (for example, Nokia N95). Actually it is a semiautomatic system because of the magnets it has, but if the user does not push up, the front cameras will not come out. In other words, there are no engines that move the system. It does not cost anything to get used to it and, although it is true that it loses in ergonomics when the cameras are deployed, I think it is an intelligent solution to the issue of the notch, simple and intuitive to use. As a bonus, that click that you make when leaving probably brings good memories to the nostalgic ones of past times. By the way, about if it will end up breaking the mechanism with the use, Xiaomi confirms that it will support up to 300,000 cycles, which give for a few selfies. This sliding system also serves other things. For example, you can configure it to answer calls when you deploy it or to open an application of your choice. As a curiosity, you can also set a sound for when you open it. A pity not having had a sheep bleating on hand for the occasion. Xiaomi has announced three variants of RAM for the Mi MIX 3: 6, 8 and 10 GB. Yes, you have read the latter well. Coincidentally the Mi MIX 3 is not the first smartphone in the world with capacity of 10 GB, a title that snatched a few days before his brother, the Xiaomi Black Shark Helo. Today it is difficult to take advantage of those 10 GB of RAM, but Xiaomi says it is a bet to ensure performance in the future. And, although this has not been recognized, it is also a powerful marketing argument. On the other hand, the 128 or 256 GB of internal storage seems sufficient, although it does not include a slot for microSD. The Qualcomm Snapdragon 845 ensures one of the best performances of the high-end Android and we have proven this in our first tests. It moves very fluid, there are no latencies of any kind, although this is something that we will thoroughly test in our review. What I found a little scarce is the battery capacity. Those 3200 mAh for a screen of almost 6.4 inches, AMOLED, a “rare” system to deploy the front camera, etc. I think they can stay fair. In any case, we will check it in our analysis. In this section it should be noted that, in addition to the smartphone charger, a 10W wireless charger will be included in the Mi MIX 3 pack. It should also be noted that we have been assured that the international version of the device will be compatible with 5G, at least in Europe. Although, of course, this will require some operator to offer 5G first. The rear cameras are exactly the same as those of the Mi 8, so the only novelty that Xiaomi introduces in them are the functionalities of what they call artificial intelligence, a buzzword that many smartphone manufacturers have loved. grasp. Those same functionalities are also available in the front cameras. What offers this AI applied cameras? From what we have been able to prove, several new features are included. 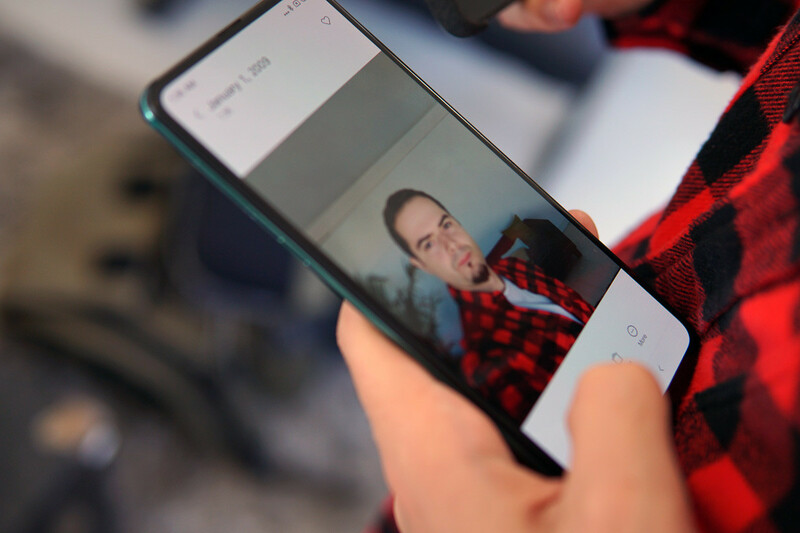 A way in which you calculate the age and gender (this is not new) according to your face, and another, called ‘Magic Mirror’, in which the phone is noting the selfie that you are doing. As I have seen, he likes selfies with good light and a high perspective, although we will have to prove it well to get the hang of it. In theory, this AI will also serve to detect scenes and for other uses such as video recording with applied bokeh effect. We will have to test it thoroughly to know if these utilities are interesting or not. By the way, the Mi MIX 3 is capable of recording super slow motion 960 fps at 1080p and 720p, although it has no integrated DRAM chip, so, in theory, the quality will be somewhat lower than what we could check with the Note 9 or the Xperia XZ2. Finally, it has a night mode that assures us that it works very well. We will leave doubts in the review. The jump to the AMOLED in the Mi MIX 3 shows, and a lot. Since bada of ratio of screen, it is logical that they take care of this aspect to be able to enjoy more quality in the multimedia content. 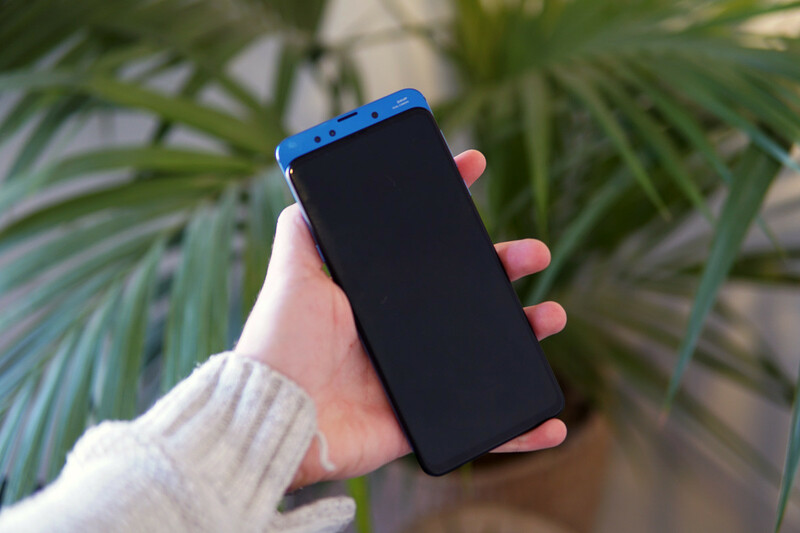 In what I have seen, the phone shows very bright colors, has an adequate brightness (we have not been able to test well outside to see how) and that resolution of Full HD + is more than enough to watch movies, series or play video game. Includes Gorilla Glass 5. In the software section is perhaps where Xiaomi has more room for improvement. Although it includes the version of its latest customization layer, MIUI 10, comes pre-installed with Android 8. We have asked for this and they assure us that in a maximum period of two and a half months (from now) the Mi MIX 3 will receive Android 9 Pie. If you want to buy a high-end smartphone, you have more options than ever and releases like the Xiaomi Mi MIX 3 complicate the decision even more. Undoubtedly, his specification sheet is brutal, and at our first contact the thing promises, but we still can not venture beyond these first impressions. We also do not know which versions will reach the international market, nor what price they will have outside China, so it may be too early to judge whether it is worth buying or not. We know that, at the change of what was announced in China, prices would be about 420 euros in the most basic version and about 620 euros in the top version. Counting on that they will have tariffs, taxes, etc. it is possible that the final prices are closer to 500 and 700 euros respectively, although, as we say, there is still nothing official. What is clear is that, at this rate, we will not fit more sharks in the tank. Senior IT engineer by the UPM of training and technical editor by profession, I have been writing in print and online media since the late 90s. A community of highly informed, influential and highly participatory users.